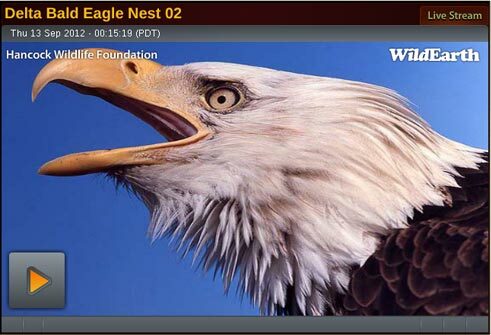 Check out these amazing live streaming wildlife eagle videos from on the Hancock Wildlife Foundation website. These streaming live eagle videos are tremendously popular, and are an important conservation tool. They help educate millions about bald eagles (and other eagles and birds), and give people a deeper appreciation for these magnificent creatures.